At our house, summer is punctuated with a variety of sporting events for the two kids and many times, the events overlap. The net result is that having a family dinner is increasingly more challenging, but since family dinner is something that I strongly value, I find creative ways to make it happen and to try to keep it reasonably healthy. 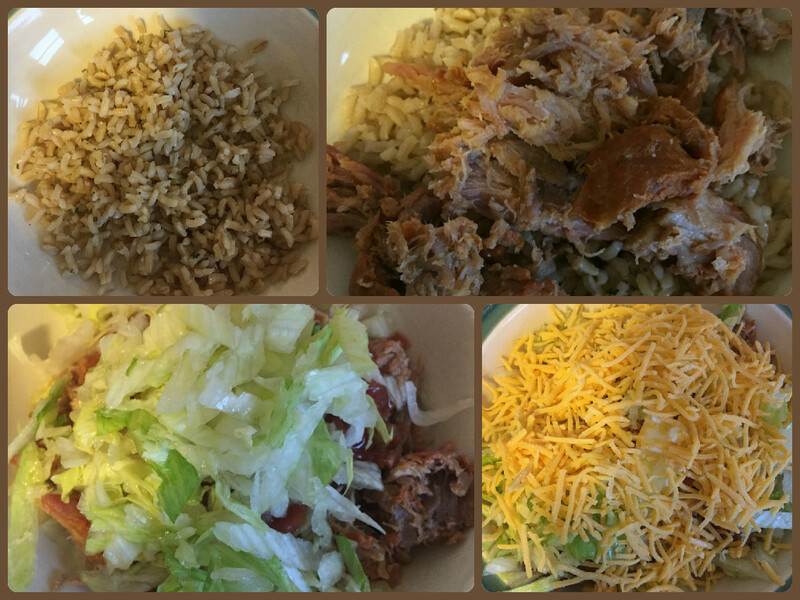 One thing that we have turned to this summer has been Burrito Bowls. I can prep most the night before and we can simply assemble and enjoy for dinner. Assemble bowl, with desired ingredients, starting with the rice, the beans and the meat. Then top with the lettuce, sour cream and cheese. We love the Herdez Salsa Casera and the Herdez Salsa Verde as toppers for our bowls. They also make great dips for a side of tortilla chips. Sometimes, I even get ambitious and make some guacamole. The last time we made bowls, I found a great product to help make the prep work even easier. I used Lloyd’s pulled pork for this. It’s this new variety I haven’t seen in store yet, but hope I do soon! I love that it has no sauce. 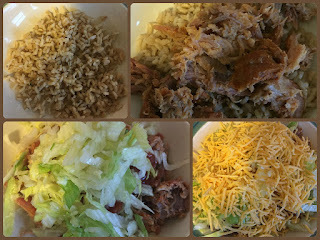 It makes it perfect for use in the bowls and it also allows more flexibility in my family where everyone likes their pulled pork a little different - more or less sauce, more or less spice. What is your family's go to meal for a quick family meal during busy times? No compensation was received for this post. All opinions expressed are mine or those of my family. I am completing this post as a participant in the Hormel Foods Extended Family Blogger program. Hormel Foods provided some product samples for my family to try. I also receive thought starters and information that can be used in a post. There is nothing like a sweet romance to enjoy on a beautiful summer day. Sitting on my deck with a tall glass of water and some snacks, relaxing, listening to the sounds of summer around me and reading. That was how I read a good portion of The Proposal at Siesta Key by Shelley Shepard Gray. I have read several books by Gray, but this is the first book I have read from this series. 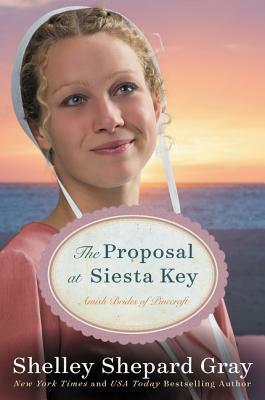 The Proposal at Siesta Key is the second book in the Amish Brides of Pinecraft series, but because each is its own story, there was no catching up needed. There is something so appealing about the characters that Gray develops. As I read the book, I couldn't help but feel a connection to them and to want to influence the situations in their favor. Both Penny and Michael have experienced a loss in their lives, but for each not only was the loss very different but also the way that they and their family coped with the loss. As readers, we get to watch them journey further in the healing process as they meet and grow close to each other, developing friendship and later realizing it is something more. I liked that the book was more about the story's characters and what was going on in their lives, rather than being about them being Amish. The themes of love, loss, and healing are universal, the fact that the characters are Amish seemed to be more of a backdrop or setting for the story than something that was a focus. If you enjoy reading light romance stories, then you will enjoy this book. Check out more reviews and learn more about the book at the Blog Tour Landing Page.